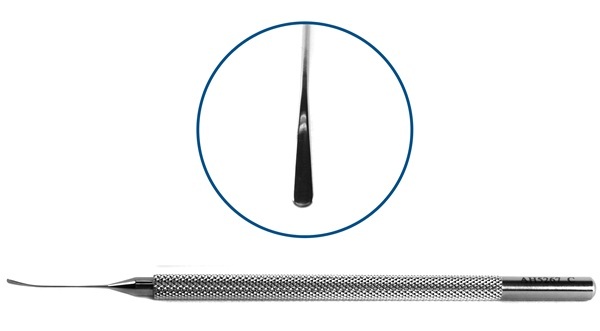 Curved shaft, duckbill-shaped spatula tip, 0.8mm wide tip. Round handle. 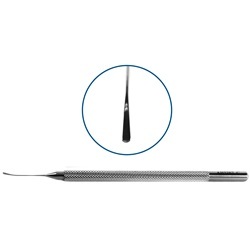 Overall length: 117mm.